That’s not hyperbole, just look at the fights! The headliner sees CWFC veteran ‘Judo’ Jim Wallhead (25-8) return after a spell alternating between Bellator and BAMMA and is indisputably one of England’s top welterweights not contracted to the UFC, while across the cage we have in-form hometown boy Danny ‘Hot Chocolate’ Roberts (10-1) who is riding a four fight win streak. Both men are in clear contention for the Welterweight belt now held by Nicolas Dalby and should provide a heated and competitive climax to the evening’s fights. Experience is clearly on Wallhead’s side, but Roberts has the greater momentum and such advantage as comes from fighting with the crowd in your corner. With both fighters being finishers (72% for Wallhead, 80% for Roberts) capable of ending a fight on the feet and each in possession of some excellent grappling skills this is sure to be a great fight to watch. Backing up that main event we have exciting and accomplished English fighters Ronnie Mann (23-6-1) and Matt Inman (13-5) facing international opposition in Marcelo Costa (8-2-1) and Mauro Chimento Jr (15-10) respectively. Not enough? OK, how about a middleweight contest between ex-UFC fighter Che Mills (15-7) and the popular Leeroy Barnes (12-13, 1NC) both looking to break losing streaks? The undercard also features Dinky Ninja’s John Cullen (17-8-2) and Dean Reilly*(6-5) so we’ve got more than a little local interest in the event as well. It’s a cracking card and we can’t wait for Saturday. Matchmaking – A lot of these matches looked lopsided from a record and/or familiarity point of view, but the calibre of the contests, especially in the Balde-Bostwick, Roberts-Suarez and Inman-Weibel fights paid testament to Ian Dean’s canny matchmaking, looking past stats and popular perception to provide compelling, close matchups. Commentary – Josh Palmer and Brad Wharton make a great partnership in the booth, with insightful, educational and pertinent commentary that doesn’t intrude on the action, or seek to overly sway your opinion of it. The inclusion of Rosi Sexton for the WMMA bout between Laura Howarth and Amanda Kelly was an inspired move, as her knowledge and affinity for the fighters really shine through. It seems whoever Cage Warriors put behind a microphone delivers as John Gooden and Frank Trigg have also done in the recent past – it might seem a little thing to some, but commentators who add to a broadcast, don’t play favourites and really help to explain the sport rather than doing the opposite makes a massive difference to the quality of the show. The fights – The whole main card produced compelling action. From Matt Inman’s performance to Laura Howarth’s grit, Nad Narimani’s best showing in the promotion, the supreme display of grappling from Roberts & Suarez, the bloodbath between Bostwick and Balde and Cory Tait’s shockingly quick upset of James Pennington, I just can’t fault this card at all. TBH, much better value for my time than the UFC card later in the night. There Will Be Blood – Jake Bostwick vs. Boubacar Balde turned into a blood soaked war which resulted in a chunk of the ringside area, including the commentary position being splashed in gore. 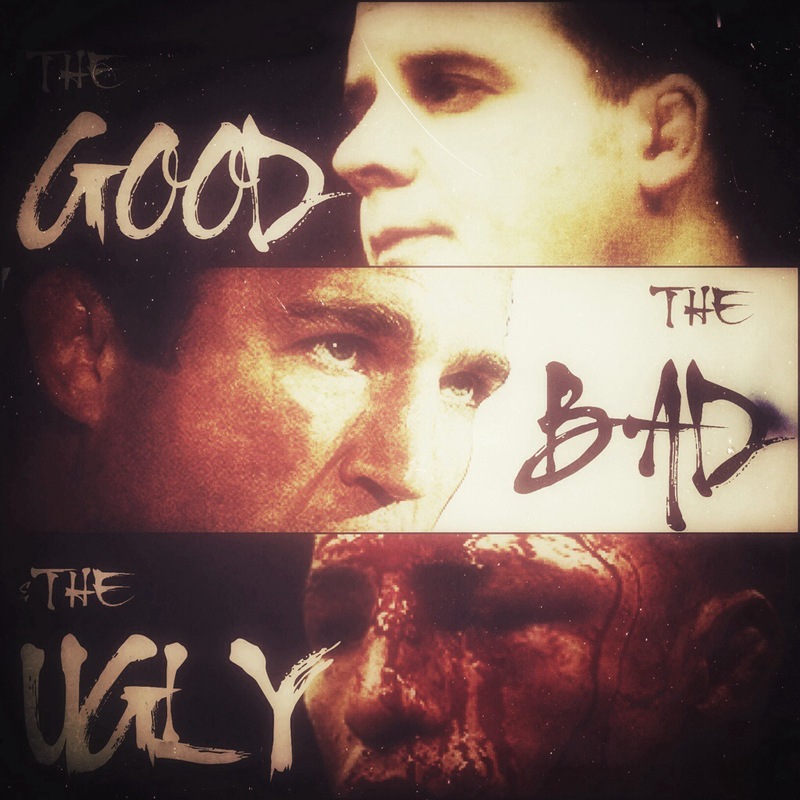 Definitely ugly, but in that curiously compelling way that only MMA fans will really understand. Bostwick vs. Balde. Such a war needs to be acknowledged. I’m splitting this between – Matt Inman for a typically dynamic performance. – Laura Howarth for her excellent display in neutralising the slightly scary striking of Amanda Kelly, and then withstanding a beating in the third round to get the decision. – Cory Tait for running through one of the largest and most skilled fighters in his division, to suddenly plant himself right in title contention. You know how the UFC have been mumbling about breaking into Russia for years, but have never really tried to do much about it, despite a growing number of top Russian fighters and the fact that the country is home to one of the most effective martial styles (Sambo) and one of the main contenders for GOAT (Fedor Emelianenko) is a national hero. Well, Cage Warriors beat you to it. Yeah, that ‘regional’ promotion that so many ‘MMA’ fans think is below their notice. I mean, if you’re not on network TV in the States, how legit can you be? Anyway, to show how important and ground breaking this venture is, Cage Warriors have elected to make this ‘overseas’ show a proper, numbered CW event, rather than hand it the Fight Night designation we’ve become used to from shows at similar longitude (usually in the Middle East) and the strength of the card reflects that. Probably taking the main event slot for the benefit of the Slavic home crowd is a Heavyweight contest between Poland’s exciting Michal Andryszak (9-3, 1NC) and undefeated Moldovan Ion Cutelaba (4-0, 1NC). Both are promising young talents and neither have ever gone to a decision with eight knockouts and eight submissions making up the finishes to their sixteen combined bouts (not counting no contests). This is going to be fun. Supporting the internationally lesser known but hot local talent are some real Cage Warriors stalwarts, with a host of very familiar names competing against Russian fighters in what promises to be a bevy of compelling matches. Topping the list is former Middleweight title contender, Pavel Kusch (13-4) looking to rebound from back to back knockout losses when he faces up and coming Chris Scott (6-2) who had been enjoying a five fight win streak before a super narrow decision loss to highly rated Mats Nilsson in April. Much travelled Ivan Buchinger (22-4) returns to Cage Warriors looking to build on his win over Jason Ball when he faces Jamal Magomedov (5-1). Buchinger is 10-2 over the past few years with the losses coming to Conor McGregor (you might have heard of him?) and Antonio Kuivanen, so he’s a MASSIVE step up in competition for Magomedov. Rounding out the card, we have familiar and reliable faces Matt Inman (11-5), Mohsen Bahari (5-1), Liam James (7-5) and Alex Enlund (7-2) facing local (well, localish. Russia is pretty big after all) talent Eldar Eldarov (5-1), Alexander Voitenko (9-3), Akhad Mmedov (4-1) and Sebastien Romanowski (7-1). You might not know the names, but I trust in Ian Dean’s matchmaking to have provided us with quality matches and names that will be worth remembering after Saturday night. As usual, it’s a grand card, which will be supported by the fantastic commentary of John Gooden and Josh Palmer and the usual cadre of excellent referees, such as Marc Goddard and Neil Hall. 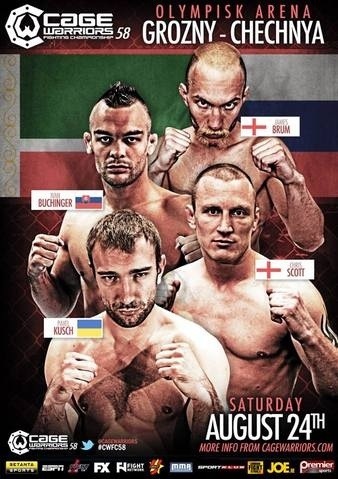 Europe’s #1 promotion return for their first event of 2013 and the SAFE MMA era with a stacked card showcasing the extent of Cage Warriors professionalism and the depth of UKMMA. When February’s On Top 7 card in Glasgow fell through thanks to the unhelpful nature of Strathclyde Police, Cage Warriors stepped in and offered to place the booked fighters on their March card in London. This has led to this card being one of the deepest in Cage Warriors history, and what’s even better is that the card will stream live on Facebook and www.mmajunkie.com. The main event sees Gael Grimaud (17-5) defending his Welterweight championship against SBG Ireland’s Cathal “The Punisher” Pendred (11-2-1). Grimaud is one of France’s premier MMA exports and with his high level submission game is a threat to anyone – just ask new Cage Warriors Middleweight champion, Jesse Taylor who tapped to a Grimaud armbar in May last year. Across the cage, Pendred is riding a wave of momentum, like his SBG Ireland teammates Conor McGregor and Gunnar Nelson (who you may have heard of) and earned this title shot with impressive decision victories over UFC veteran David Bielkheden and the dangerous Bruno Carvalho to improve his current streak to 5-0-1. In the co-main event, we have what would have been the main event of On Top 7 for that promotion’s Featherweight title, relocated to Cage Warriors and of course, it’s ‘only’ bragging rights rather than a belt on the line. Defending the spirit, if not the fact of his belt is Graham ‘Afterburner’ Turner (21-7) who comes in after an increasingly successful 2012 where he rebounded from a first round submission loss to Matteus Lahdesmaki at Cage Warriors Fight Night 3 with three wins on home soil, winning the Vision FC Lightweight and On Top Featherweight belts before putting Nathan Beer away in the first round at Cage Warriors 50, all in Glasgow. Graham was also nice enough to talk to us a week out from this fight and if you’re minded, you can check out that interview here. Across the cage is France’s Fouad Mesdari (10-3) who holds a 12 second TKO win over Turner’s Dinky Ninja teammate Dean Reilly, but enters this match off the back of a submission loss to Araik Margarian in January. Hmn, there’s a real France vs. the Celts thing going on here, isn’t there? Turner is an exciting fighter, who’s first preference is always to let his kickboxing do the talking but he’s more than capable of using his grappling skills to get the job done on the mat. It’s interesting that the bulk of Mesdari’s wins and ALL his defeats have come via submission, and it will be interesting to see if Turner elects to try and keep the fight standing or not. Next up is a compelling bout between the well travelled Bruno Carvalho (14-6) and undefeated Steven Dinsdale (5-0) making his Cage a warriors debut. Our next bout has one of UKMMA’s real veterans and hardest working fighters, Jack ‘the Stone’ Mason (22-11) looking to continue his recent good form after going 5-2 in 2012. Looking to derail his momentum is Matt Inman (9-4) who will be looking to add to his record of eight first round stoppage victories. Also transplanted from On Top is the bout between Paul McVeigh (18-8) coming back to his day job after his brief turn as comic relief on a Channel 5 documentary to face knockout artist Paul Marin (5-1). McVeigh has struggled with injuries of late, and his three month turnaround between fights here is his fastest since 2007. That period has coincided with a blink and you’ll miss it appearance in the qualifying round of the Ultimate Fighter and back to back decision losses to now-UFC hotshot Erik Perez and Brandon Hempleman. However, McVeigh remains a top level competitor and will be looking to exploit his experience, the ‘home ground’ of competing in Cage Warriors – this is his tenth appearance in the promotion- to bring home the win. He’s not a doctor, he’s a CAGE FIGHTER. Rounding off the main card is a bout which promises to be a tasty ground battle as Alan Philpott (7-3) faces Liam James (6-4) with a combined twelve submission victories. From the preliminary card, I’d like to pick out undefeated submission maestro Chris Fishgold (9-0) against equally sub happy Steve O’Keefe (6-2) who might have some losses on his record, but they are to Connor McGregor and Diego Vital, so shouldn’t really indicate any lack of quality. I was impressed with Alex Enlund (7-1) in his first round win over Ahsan Gilani at CW50 although I hope we get more of a contest to enjoy against Martin McDonough (9-4). The last fight I want to focus on is yet another Dinky Ninja, Dan Hope (9-4) returning to Cage Warriors following a solid win over Avi Jack at CW50 to face the feisty Gary Kono (10-10) who is coming off three successive defeats and will be looking to make an impression and get his record back above .5. This is simply an awesome card, and I’d advise anyone who has the slightest interest in MMA to either get a ticket or at least check out the broadcast, wherever you may be (details can be found at www.cagewarriors.com) to witness some of the most exciting fighters in Europe, on a truly professional show with my favourite MMA commentating team into the bargain. 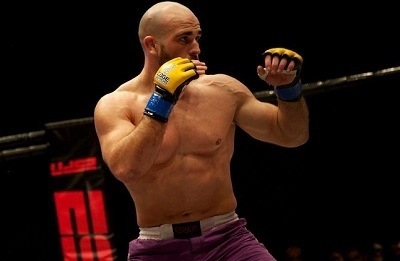 Matt Inman and Chris Fishgold will make their CWFC debuts in London on March 9 following the addition of another two bouts to the card for Cage Warriors 52. The event, booked to take place at the HMV Forum, will be headlined by a welterweight title bout between Cathal Pendred and defending champion Gael Grimaud. 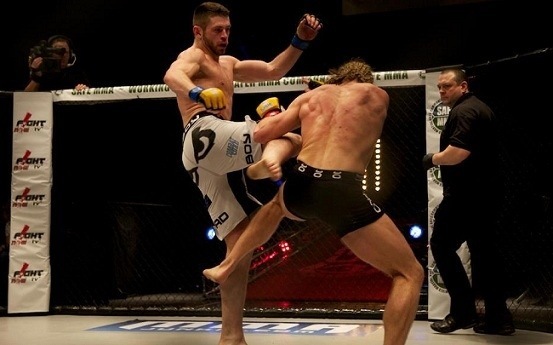 Cage Warriors 52 will now also feature a welterweight bout between Inman and CWFC veteran Jack Mason (pictured), with Fishgold and Steve O’Keeffe set to collide at featherweight. Inman (9-4), who signed an exclusive five-fight deal with Cage Warriors last week, is ranked as one of the UK’s top 20 welterweights and has taken eight of his nine wins by first-round stoppage. Mason (22-11) will be appearing on a Cage Warriors card for the eighth time in his career and put together a 5-2 overall record last year, which included CWFC wins over Tommy Quinn and Florent Betorangal. Meanwhile, Chris Fishgold will finally make his first appearance in the organisation after his highly-anticipated clash with Robert Whiteford at Cage Warriors 50 in Glasgow last month had to be cancelled when his opponent sustained an injury. Fishgold (7-0), who fights out of Next Generation, is exclusively contracted to Cage Warriors. The unbeaten 20-year-old has taken six of his seven wins by submission. O’Keeffe (6-2), a veteran of three CWFC bouts, holds notable wins over Artem Lobov and Jeremy Petley. The 26-year-old will be returning to action for the first time since seeing a six-fight win streak snapped by CWFC featherweight and lightweight champion Conor McGregor at Cage Warriors 45 last February. More Cage Warriors 52 bouts will be announced in the coming days and we’ll keep you posted as matchups are revealed. Tickets for Cage Warriors 52, which takes place at London’s HMV Forum on March 9, are available to purchase HERE. Tommy Quinn, Ryan Roddy and Matt Inman have been added to Cage Warriors Fighting Championship’s roster of fighters. All three have signed five-fight deals to compete exclusively for Cage Warriors for the next 18 months. Quinn (5-1), a 23-year-old Irish welterweight, fought twice for CWFC in 2012. The Derry native rebounded from a loss to Jack Mason at Cage Warriors 47 to defeat Philip Mulpeter at Cage Warriors 51 in Dublin on December 31. “It’s a great privilege to have signed with Cage Warriors,” said Quinn. “I always know I’m going to get good fights from Ian Dean and Graham Boylan. Roddy (5-1) also hails from Derry and made his CWFC debut on New Year’s Eve. Despite suffering a second-round submission loss to Paul Redmond, the previously unbeaten 23-year-old lightweight impressed enough to secure a five-fight deal. Inman (9-4) has taken all nine of his wins by stoppage, eight of which have come inside the first round. The 26-year-old Manchester welterweight will make his debut for the organisation on March 9 at Cage Warriors 52. “I’m really happy with the contract,” said Inman. “It’s both exciting and daunting to think I’ll now be fighting on the biggest show in Europe.